The transparent open-box (TOB) learning network algorithm adds the useful dimensions to machine learning of auditability and interrogation of each prediction made. It achieves this by making available for instant inspection the exact calculations and relationships it applies to its prediction for each data record in a dataset. 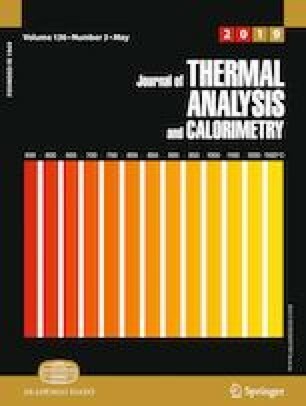 The algorithm is applied here to predict the pool boiling heat transfer coefficient (PBHTC) for alumina-water-based nanofluids from a large dataset (870 data records with PBHTC varying from 0.33 to 65.68 kW m−2 K−1). The dataset, compiled from published sources and listed in full in a supplementary file, involves four relatively easy-to-measure input variables (nanoparticle size, operating pressure, nanoparticle concentration in water, and excess temperature). These input variables involve highly fragmented and nonlinear relationships with each other and PBHTC. The TOB predicts PBHTC to high accuracy (TOB: RMSE = 1.27; R2 > 0.99) and its predictions compare favorable to the accuracy achieved by an ANN model applied to the same dataset (ANN: RMSE = 1.09; R2 > 0.9960). The TOB algorithm involves a two-stage routine (Stage 1 matching; Stage 2 optimization) with no overt or underlying correlations involved. It generates dependent-variable predictions with high degrees of accuracy for datasets with irregular, fragmented and nonlinear input variables representing complex chemical and physical systems. Its transparency also provides key insights into the underlying dataset. The TOB algorithm overcomes the black box tendencies of many machine-learning algorithms. This makes the TOB algorithm suitable for deployment in situations where each prediction needs to be verified and supported with the complete step-by-step underlying calculations involved. The online version of this article ( https://doi.org/10.1007/s10973-018-7722-9) contains supplementary material, which is available to authorized users. Frontline Solvers. Standard excel solver—limitations of nonlinear optimization. https://www.solver.com/standard-excel-solver-limitations-nonlinear-optimization. Accessed May 2018.